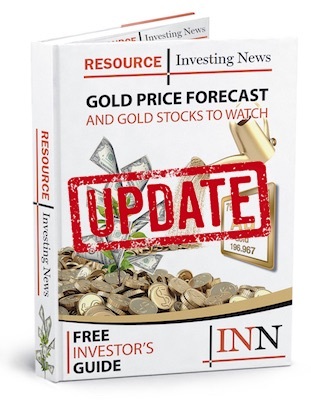 Euro Manganese (ASX:EMN,TSXV:EMN) has released the results of a preliminary economic assessment (PEA) for its Chvaletice manganese project, reporting an after-tax net present value of US$593 million. The project is owned by a Euro subsidiary in the Czech Republic, and is believed to house Western Europe’s largest manganese deposit. Chvaletice’s combined measured and indicated resource comes in at 26,960,000 tonnes grading 7.33 percent total manganese and 5.86 percent soluble manganese. Chvaletice is expected to have a 25-year operating life, over which it will produce 1.19 million tonnes of high-purity electrolytic manganese metal (HPEMM), with two-thirds expected to be converted to high-purity manganese sulfate monohydrate powder (HPMSM). Saleable product will be primarily focused on Europe’s electric vehicle battery industry, and will include 404,100 tonnes of HPEMM and 2.35 million tonnes of HPMSM. “The PEA demonstrates the compelling potential of the Chvaletice manganese project. Euro Manganese is in a unique position in the battery industry, with its 100% holding of Western Europe’s most significant and strategically-located manganese deposit,” said Euro President and CEO Marco Romero. The PEA also lays out financial figures of US$404 million in pre-production capital, US$24.8 million in sustaining capital and US$31 million in working capital. The project is expected to see a post-tax internal rate of return of 22.6 percent with a 4.9-year payback period. Going forward, the company’s next steps for Chvaletice are to build and commission a demonstration plant to produce product samples for customer testing, along with ongoing studies to help complete a feasibility study for the project. The company will also be submitting permit applications that require additional environmental investigation. “Our project team is now focused on further defining and refining our plans to advance the project through front-end engineering and optimization work, and on the efficient progression of project permitting. Planning, process engineering design and metallurgical test work are ongoing, ahead of the upcoming feasibility study, which we target completing by late 2019,” Romero added. While the vast majority of manganese is used to produce steel and cast iron, it has also become a prominent material for the battery sector. Manganese oxide is currently used to make alkaline, disposable lithium and rechargeable lithium-ion batteries, the last of which are used to power electric vehicles.